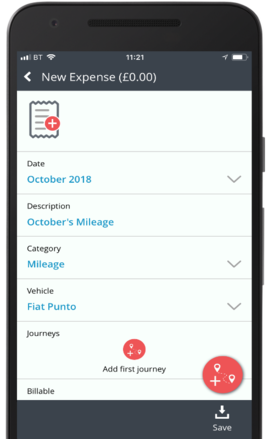 This article will explain how you can create a mileage claim if you pay for the fuel and get reimbursed for your mileage on the mobile app. 1. 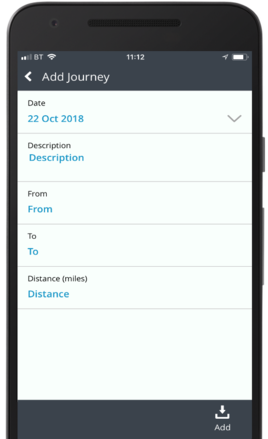 Click the Mileage Log icon. 4. You can attach fuel receipts to your claim by tapping the receipt icon. 5. Tap the red Journey icon. 6. By default, the date will be today's date but you can change it. 7. 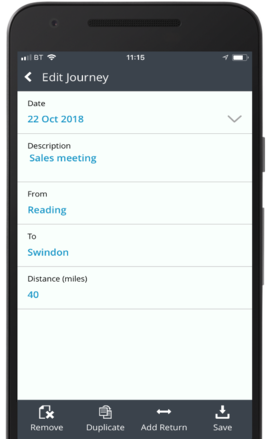 You should enter a description for your business journey. 8. You should enter the From and To journeys. 9. 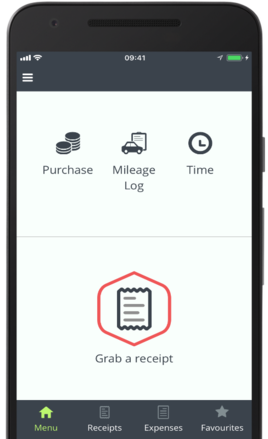 You can add more journeys to your log by clicking the red Journey icon. This will open up the Journey screen.